If it's good enough for Kim Kardashian, it has to be good enough for me. Right?! Recently, OK! 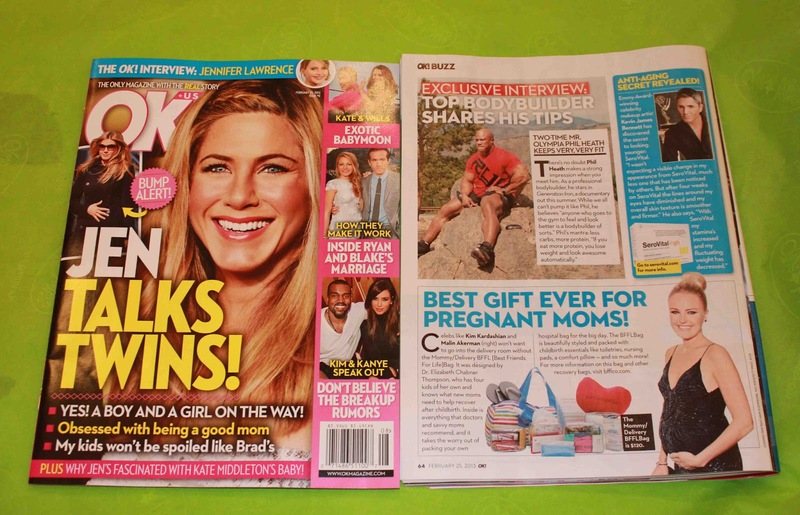 Magazine said the Mommy/Delivery BFFLBag® is “best gift ever for pregnant moms.” They also suggested that moms-to-be Kim Kardashian and Malin Ackerman invest in one of these bags for the delivery room. I would say that is a pretty awesome endorsement. Eleven years ago, I was admitted to the hospital four weeks earlier than expected. I was young and unprepared. I literally had nothing but the clothes on my back when I checked into labor & delivery. I did not have my hospital bag packed. Everything happened so quickly. This time around, I am going to be prepared. Thanks to Elizabeth Chabner Thompson, co-founder of BFFL Co., I was sent a Mommy/Delivery BFFLBag® to review...and help me prepare for my delivery this time around. **I forgot to include the berryplus 2 loads laundry soap in the video. New York-based BFFL Co. (which means “Best Friends for Life”) took its expertise in creating patient recovery kits and developed the ultimate hospital bag for expectant mothers, the Mommy/Delivery BFFLBag. The Mommy/Delivery BFFLBag®, which makes the perfect baby shower gift, contains everything an expectant mother will need for her hospital stay, taking the guesswork out of packing. Everyone is going consider packing different items in their bag. You will possible add or subtract, depending on your needs. I would add additional items like chargers for your electronics, batteries, a camera, change for the vending machines, and make-up to my bag. As mentioned in the video, a coming home outfit for mom and baby are key items as well. This perfect gift – for your best friend, sister, or yourself! - can be purchased at www.bfflco.com. Use code FRIENDOFMOMMY2K and save 10% on all purchases on their site. Check out the DrE's creme– a favorite of many moms and fantastic for dry winter skin and amazing for stretch marks. It looks like I'll be ahead of the game this time. And I owe it all to my best friend for life. I was provided product to facilitate my review. There was no monetary compensation. The opinions and views are my own.